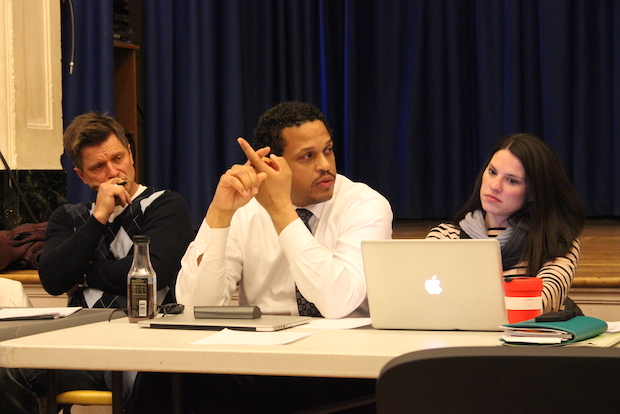 LAKEVIEW — Blaine Elementary School Principal Troy LaRaviere, an outspoken critic of Chicago Public Schools and Mayor Rahm Emanuel, has been ousted in a sudden change that left some parents shocked. Parents were notified late Wednesday of the abrupt change in leadership in an email from Elizabeth Kirby, chief of schools strategy and planning for CPS. Wednesday was LaRaviere's last day at Blaine, and he was "reassigned from his principal duties," Kirby wrote. The letter did not say what position — if any — LaRaviere would now have within CPS. He will continue to receive pay for now, the district said. LaRaviere, who appeared in a Bernie Sanders ad in March that slammed Emanuel and Hillary Clinton for supporting Emanuel, did not immediately respond to a request for comment. The district is accusing LaRaviere of "acts of misconduct, including violations of a previous warning resolution passed by the Board of Education," CPS spokeswoman Emily Bittner said. "A hearing will be held to determine his employment status." The next step is a pre-suspension hearing "to determine whether there is a sufficient basis to suspend Principal LaRaviere without pay," Bittner said, although that move would need approval from the Illinois State Board of Education. A source familiar with the situation said LaRaviere was not given a new position within CPS and was told to stay home in the interim. Blaine's Local School Council learned of the change just 30 minutes before parents were notified, the source said. Some parents also said they did not receive the email Wednesday and found out through media reports. CPS representatives will meet with teachers Monday morning — the first day of school after spring break — ahead of a parent meeting. The school will host the parent meeting at 6 p.m. Monday to discuss the change. 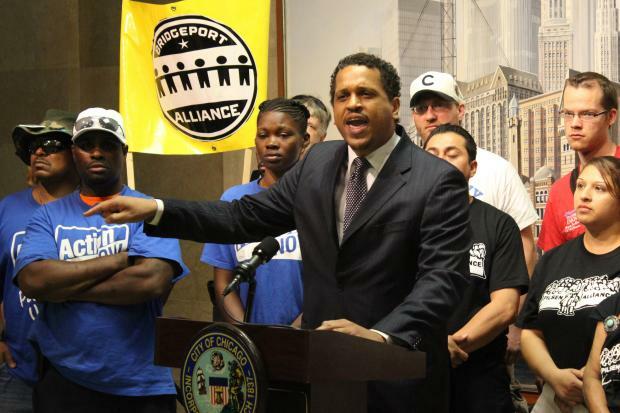 In August, the Chicago Board of Education issued a formal warning to LaRaviere, railing against him for "insubordination" tied to his support of PTA efforts against standardized spring testing and retorts during a July 13 budget meeting. CPS told LaRaviere that he could be dismissed should he continue to speak out against the district. The principal has been a staunch critic of CPS and Mayor Rahm Emanuel, blasting the district for "reckless fiscal operational and educational mismanagement" even after the warning. LaRaviere also served as an adviser to Jesus "Chuy" Garcia in his unsuccessful attempt to unseat Emanuel in last year's mayoral election. In March, he was featured in an ad for Bernie Sanders. Immediately after the formal warning, LaRaviere said he refused to "turn a blind eye" to the district's handling of matters. "Our teachers have been battered by this administration's attacks and forced to live with the blatant hypocrisy behind the calls for teacher financial sacrifices while the district continues to engage in wasteful spending, reckless borrowing and their steadfast commitment to steering CPS dollars to banks and investors that profit from our schools' losses," he wrote in a March 25 post. The district assigned Pedro Alonso to serve as interim principal. Alonso previously served as an interim principal at Rogers and Kilmer elementary schools. He also was principal of Von Steuben high school from 2006 to 2014 and assistant principal at Roosevelt High School for three years before that. "Our students' best interests will be the central focus of decisions made at the school level," Kirby wrote. LaRaviere's ouster stunned some parents, who posted reactions on a closed Facebook group for parents of Blaine students. Several parents said they felt blindsided by the late-night news. "I literally gasped when I read it," wrote one. Some also started tweeting with the hashtag #StandWithTroy in a show of support. #TroyLaRaviere showed teachers we could fight w/in an unjust system & admin could stand w/us. I #StandWithTroy -- some fights are worth it. It's unclear whether LaRaviere will still be eligible to run for president of the Chicago Principals and Administrators Association. Nominated in late February, LaRaviere said he hoped to find a way to continue working at Blaine if elected in May.